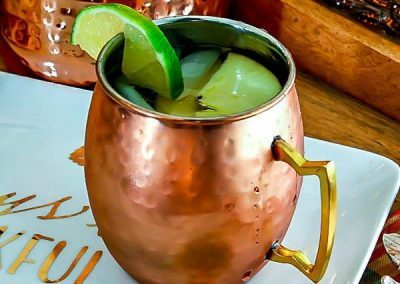 I was just going to go with Hurricanes as my drink for this game, but my son said something to me about a fall drink, and so I decided to add a Fall version of a Moscow Mule. I’ll get some freshly made good apple cider from my local Fresh Market. These kind of look yellow/gold in color ala GEORGIA TECH! Squeeze lime into a mug. Add desired ice. 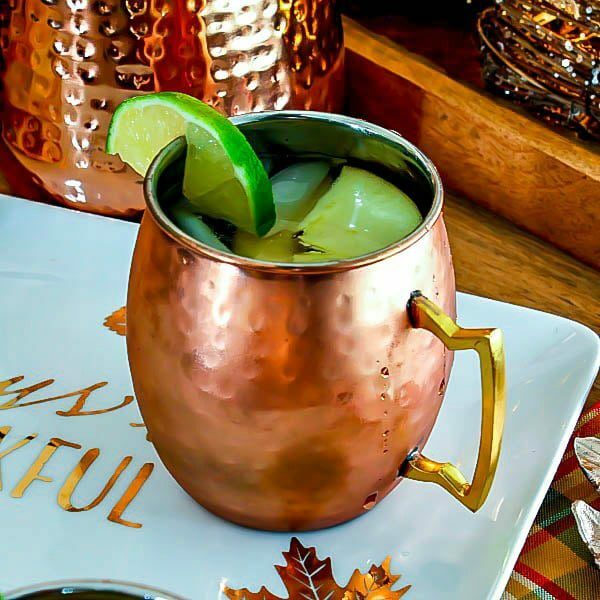 Add apple cider, vodka, and ginger beer.